Admitted to the Bar in 1981, Guy deLaup is a sole practitioner of S. Guy deLaup, APLC in Metairie, Louisiana. After serving as an Assistant District Attorney in Jefferson Parish for seven years, he has practiced extensively in the area of family law and has also represented clients in business, insurance litigation, franchise litigation and medical malpractice matters. As a litigator representing both plaintiffs and defendants, Guy understands the importance of alternative dispute resolution. He has earned an AV rating from Martindale Hubbard and was nominated as a “Top Lawyer” by his peers. He is a 1978 graduate of Louisiana State University and received his juris doctorate from LSU Law School in 1981, where he served as Vice Chairman of the Moot Court Board and participated in the Jessup Cup International Law Moot Court competition. He was trained as a mediator at Pepperdine University of Law and the Mediation Institute of Oklahoma. Guy is a past president of both the Jefferson and Louisiana State Bar Associations. 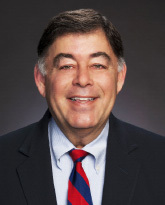 He is a current member of the LSU Law School Board of Trustees and a Continuing Legal Education speaker to the Louisiana State Bar Association, Jefferson State Bar Association, Lafayette Bar Association and the New Orleans Pro Bono Project. Ross Foote retired from the 9th Judicial District Court in 2004 after over 13 years on the bench. He joined Smith Foote, LLP as a partner dealing exclusively with national class action antitrust cases. He has also served on the Board of Directors for the International Academy of Collaborative Professionals, conducted ADR training programs, including presentations in Canada and England, and participated in several class action antitrust mediations. In addition to being an AAA Certified Neutral, he has taught courses at the National Judicial College and assisted in the formation of ADR groups in Louisiana. He has served on the Executive Committee for the Louisiana District Judges Association and the Advisory Committee on Technology for the National Center for State Courts. In addition to multiple seminars and published ADR articles for the Shreveport Bar, he is teaching a course on ADR as an Adjunct for the LSU Law Center Summer School in Lyon, France in 2016. Ross’s primary focus with The Patterson Resolution Group is commercial arbitration and mediation. He received his B.A. degree from Duke University and his J.D. degree from the Paul M. Hebert Law Center, Louisiana State University. 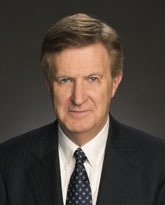 Admitted to the Bar in 1979, Phelps Gay is a partner and former managing partner of Christovich & Kearney, LLP. His practice areas include professional liability, admiralty, healthcare, construction, and international law. He also concentrates in the field of legal ethics, providing counsel to lawyers and law firms across the state. Phelps completed the Basic Mediation Training Seminar in Dallas, Texas, in 2002. Before joining The Patterson Resolution Group, he was associated with the mediation/arbitration firm of ADR Inc in Metairie, LA, for ten years. In 2004, he qualified as an arbitrator with the National Association of Securities Dealers (now FINRA), and has arbitrated numerous claims involving brokerage firms and their clients. He also has arbitrated fee disputes between clients and lawyers pursuant to the Louisiana State Bar Association’s Legal Fee Dispute Resolution Program. In June, 2013, Phelps completed the American Arbitration Association’s training program, Arbitration Fundamentals and Best Practices for New AAA Arbitrators. He is a member of the AAA Roster of Neutrals and has arbitrated disputes under both the Commercial and Employment Rules of the AAA. Phelps received his undergraduate degree from Princeton University and his J.D. degree from Tulane University School of Law. He served as president of the Louisiana State Bar Association in 2000-2001. Phelps is currently serving as president of the Louisiana Association of Defense Counsel. Admitted to the Louisiana Bar in 1977, Tom Hayes has practiced at Hayes, Harkey, Smith & Cascio, LLP, in Monroe, Louisiana, for 38 years. His practice has focused on civil litigation in state and federal court in north and central Louisiana and has included prosecution and defense of suits involving professional liability of lawyers, architects, engineers and realtors, product liability and redhibition, industrial accidents, healthcare and medical malpractice, insurance coverage, motor vehicle and transportation, civil rights, construction, real estate, successions and trusts, commercial disputes, and employment law. He was trained as a mediator at the Straus Institute for Dispute Resolution at Pepperdine School of Law. He is AV rated by Martindale Hubbell, a Fellow of the American College of Trial Lawyers, and a Council Member of the Louisiana State Law Institute, where he also serves as a member of the Committee on Louisiana Civil Procedure. Tom received a B.A. with honors from the University of the South in Sewanee, Tennessee in 1974 and a J.D. from Louisiana State University in 1977. He has served as Special Master by appointment in the Fourth and Eighth Judicial Districts. From 2007 through 2016, he has been designated a Louisiana SuperLawyer in civil litigation. 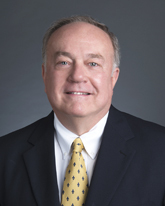 Mike McKay is a partner in Stone Pigman Walther Wittmann L.L.C.’s Baton Rouge, LA office. He has been a trial lawyer since 1974. He has tried numerous judge and jury trials in both state and federal courts. He has represented plaintiffs and defendants in a wide variety of matters ranging from intellectual property to community property; wills and trusts to antitrust; RICO to ERISA; class actions to derivative actions; product liability to professional liability; and more. 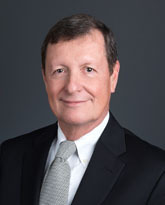 In addition to his trial work, Mike has been mediating casualty and commercial disputes for over 20 years and has been associated with the mediation/arbitration firms of ADR Inc., and then MAPS, Inc. prior to joining The Patterson Resolution Group. He received his B.A. and J.D. degrees from Louisiana State University. He received a graduate Certificate in Dispute Resolution from the Straus Institute of Dispute Resolution at Pepperdine Law School in May, 2016 and is currently enrolled in the LLM program there. He is the only lawyer to have served on the governing boards of the Louisiana Trial Lawyers Association, the Louisiana Association of Defense Counsel and the Louisiana State Bar Association. He served as president of the Louisiana State Bar Association in 2004-2005. 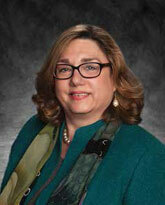 Admitted to the Bar in 1974, Pat Ottinger is a partner in the law firm of Ottinger Hebert, L.L.C., in Lafayette, LA. He concentrates in the areas of corporate and commercial law, with emphasis on mediation and arbitration, oil and gas, financial transactions, real estate, eminent domain, and corporate and banking matters, as well as litigation in these areas. He received his B.S. degree from the University of Southwestern Louisiana and his J.D. degree from Louisiana State University. Pat has served as an arbitrator and a mediator in a wide range of cases throughout the Gulf Coast, principally in the oil and gas sector. He completed mediation training with the Straus Institute for Dispute Resolution, Pepperdine University. He served as City-Parish Attorney for the Lafayette City-Parish Consolidated Government from January 2004 through January 2011. 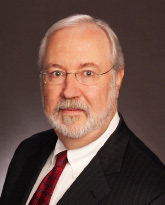 Since 1996, he has served as an Adjunct Professor of Law at the Paul M. Hebert Law Center, Louisiana State University, teaching the course in Mineral Rights and an Oil and Gas Seminar. He is the author of the course materials entitled “Ottinger, A Course Book on Louisiana Mineral Rights” (12th Rev. Ed., August 2011). He served as the president of the Louisiana State Bar Association in 1998-99. He is the author of Louisiana Mineral Leases: A Treatise, published by Claitor’s Law Books & Publishing Division, Inc., June 2016. As described by Professor Patrick H. Martin, in the Foreword to the Treatise, “[f]or any person, company, law firm or court dealing with Louisiana lease law, this Treatise is the indispensable and authoritative treatment of the subject. I am sure it will remain so for years to come.” To read a review of the Treatise, click here. He received the 2018 Louisiana Bar Foundation’s Boisfontaine Trial Advocacy Award. The award was presented at the Louisiana State Bar Association’s Annual Meeting on June 7, 2018, in Destin, Florida. He received this award in recognition of his long-standing devotion to and excellence in trial practice and for upholding the standards of ethics and consideration for the court, litigants, and all counsel. 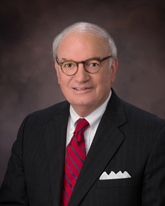 Admitted to the Bar in 1971, Michael A. Patterson is a partner in the Long Law Firm, L.L.P., in its Baton Rouge office. His practice focuses on business litigation, professional liability, and construction litigation. He has been mediating cases in virtually every area of the law for more than 20 years. Mike is a panel member of the United States District Court Middle District Register of Neutrals, a panelist with the Louisiana State Bar Association Fee Dispute Resolution Program and a mediation panel member of the American Arbitration Association. He received his B.A. and J.D. degrees from Louisiana State University and a Certificate and LLM in Dispute Resolution from Pepperdine University. Mike is an adjunct professor of trial advocacy and evidence at LSU’s Paul M. Hebert Law Center. 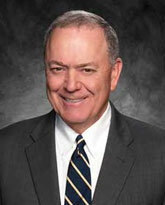 He served as president of the Louisiana State Bar Association in 2010-2011. 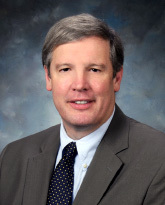 Larry Roedel is an attorney with Roedel Parsons Koch Blache Balhoff & McCollister in Baton Rouge, Louisiana and serves as managing shareholder for the firm. He has practiced law since 1977, with a focus on the blend of general litigation and public/private partnerships for the construction of large public projects in the state of Louisiana. Roedel served in an advisory role to three former governors of Louisiana: Buddy Roemer, Kathleen Blanco and Bobby Jindal. He also served as General Counsel for the Louisiana Stadium & Exposition District, which includes the Mercedes-Benz Superdome, Smoothie King Center, Zephyr Stadium and related facilities. He received his mediation training at the Strauss Institute, Pepperdine University. He has served as a mediator and arbitrator on several cases with FINRA (formerly the National Association of Securities Dealers-NASD). He is AV rated by Martindale Hubbell and has been recognized by U.S. News and World Report in their Best Lawyers in America publications (2011-2018). Roedel earned a Business Administration degree from Louisiana State University and a Juris Doctorate from LSU Law School. Admitted to the Bar in 1981, Marta-Ann Schnabel is the managing director of O’Bryon & Schnabel, PLC of New Orleans, Louisiana. In over 30 years of practice, she has primarily represented clients in business, commercial, and insurance litigation involving a wide variety of issues including construction, products liability, professional malpractice, ethics, and employment matters. A seasoned litigator who has represented both plaintiffs and defendants, Marta understands the importance of finding practical and affordable solutions to complex problems. She has earned an AV rating from her peers, has been honored as a SuperLawyer, and has been named one of the top 25 women attorneys in Louisiana. She is a 1978 graduate of Memorial University of Newfoundland, Canada, with a B.A. Honours in History. She received her Juris Doctorate from Loyola University College of Law in 1981, where she served as a member of Law Review and of the National Moot Court Team. Her training as a mediator includes studies at the Straus Institute for Dispute Resolution, Pepperdine University. When she was sworn into office on June 9, 2006, Marta-Ann became the first woman to serve as President of the Louisiana State Bar Association. Admitted to practice in Louisiana and to the United States Supreme Court. Admitted to practice in Louisiana State Courts, in the United States District Courts for the Western and Middle Districts of Louisiana, in the United States Court of Appeals for the Fifth Circuit, and in the United States Supreme Court. Admitted to practice in Louisiana State Courts, in the United States District Courts for the Western and Middle Districts of Louisiana, and in the United States Court of Appeals for the Fifth Circuit.